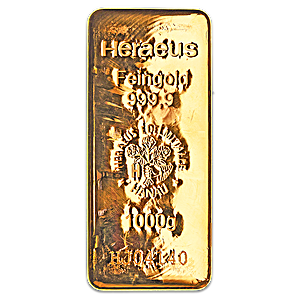 The 1 kilogram Heraeus gold bar is an investment grade cast gold bar with a sturdy design and a very high quality finish. 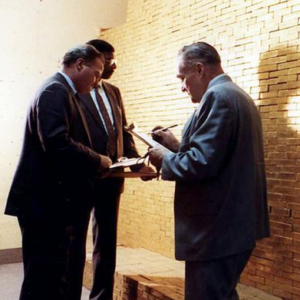 Each 1 kg gold bar is cast from 99.99% pure gold. Every Heraeus 1 kg gold bar has its own serial number, and each bar is imprinted with the bar’s weight 1kg, its purity 999.9, as well as the famous Heraeus refinery motif of a hand clasping roses. The Heraeus group was founded in 1851 in Germany, and is still owned by the same founding family. 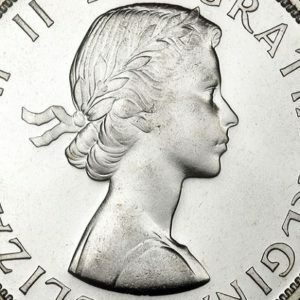 Heraeus is a member of both the London Bullion Market Association (LBMA), and the London Platinum and Palladium Market (LPPM).